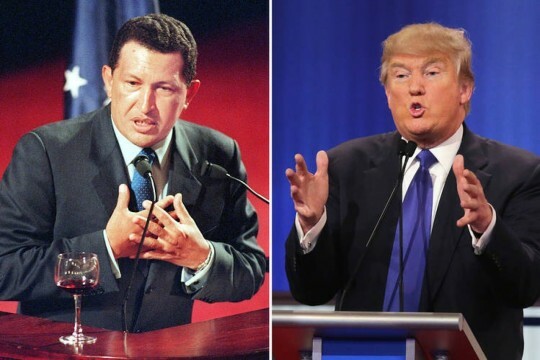 The parallel obscene implosions of the Chavista governing project in Venezuela and the presidential campaign of Donald Trump in the US make comparisons between Trump and Chávez over-determined. For the left these comparisons provide a way to turn the tables on Trump supporters. For the right they are a way to challenge memories of Chávez. Gill suggests the differences also extend to economic policy where Chávez strongly focused on redistribution whereas Trump would not.